In need of some romance? 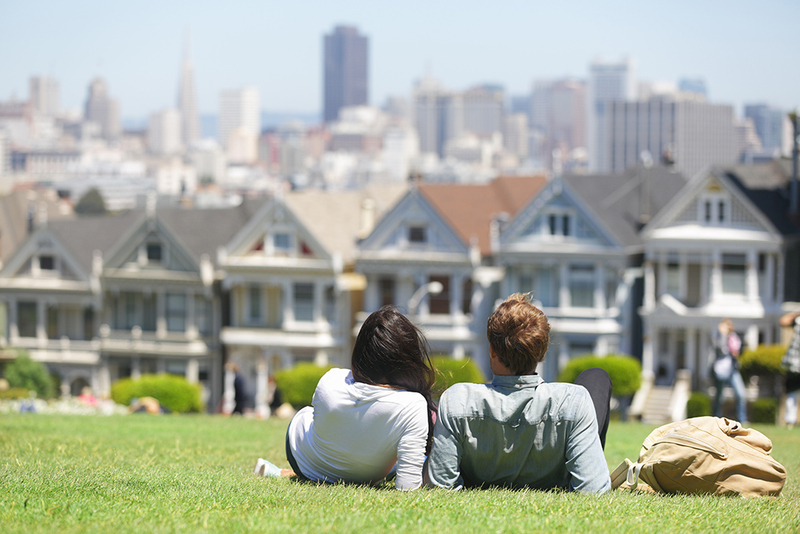 Check out our guide to the best couples vacations in America and book a trip ASAP. There’s quite nothing as enjoyable as a perfectly planned vacation. From the best winter vacations to take in America to the best road trips in America, there is something about leaving the everyday behind while exploring new, uncharted territories that gets us giddy with excitement. Doing so with a significant other? Even better. Enter the best couples vacations in America. From romantic getaways to out-of-the-ordinary paradises, these are the trips you should book when in need of some romance. Is this your first trip post-nuptials? 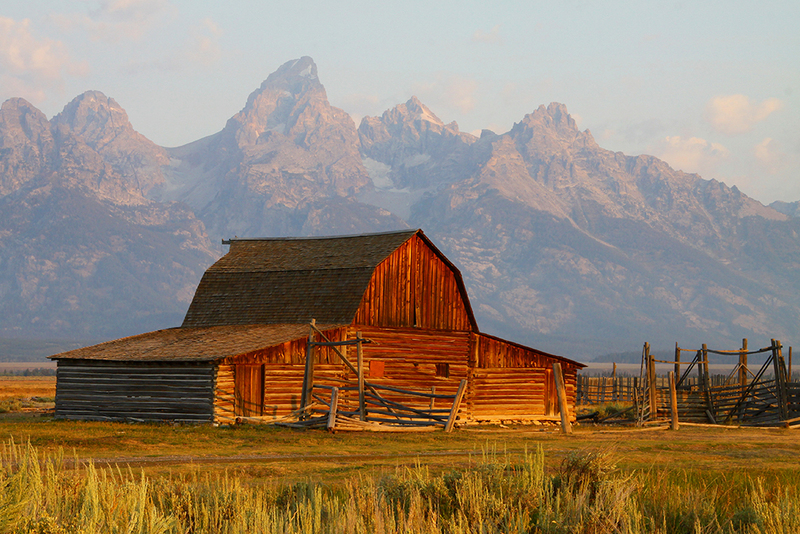 You might want to consult our list of best honeymoon destinations in the U.S. as well. 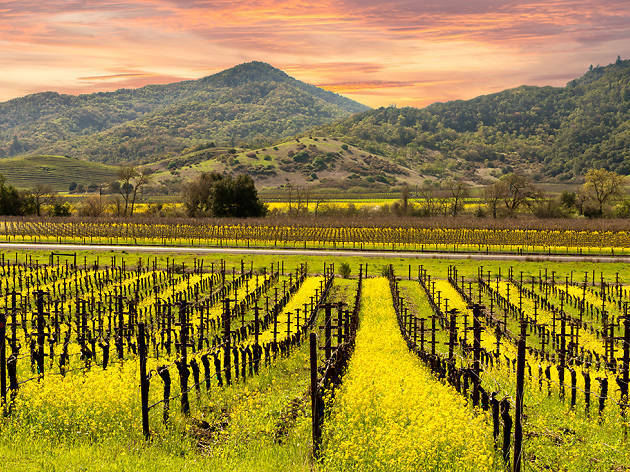 Majestic, lush landscapes, glorious weather, fantastic dining and the country’s best wineries make Napa Valley not only one of the most romantic getaways in America, but the world over. 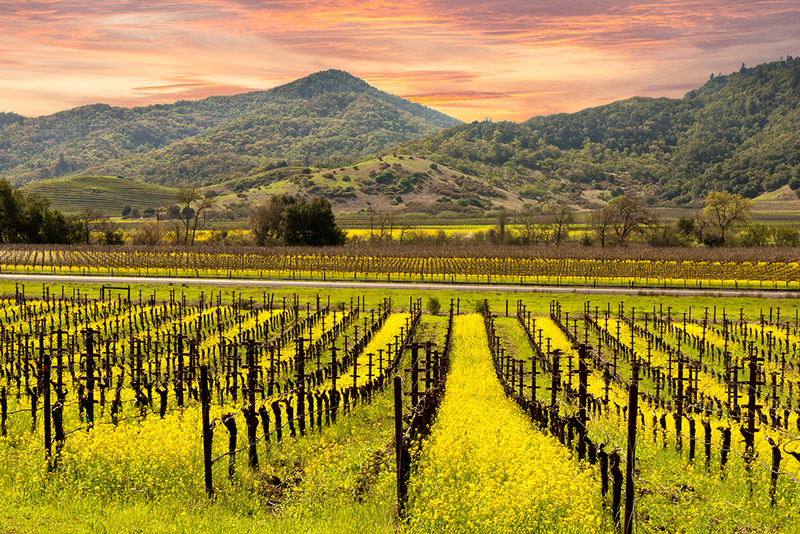 Whether you’re looking for a scenic bike tour or just want to spend the day relaxing at a 5-star spa, this Northern California destination is perfect for anniversaries, honeymoons or just some couple-time. Where to dine: While there are plenty of must-try restaurants, don’t dare miss out on the Napa Valley Wine Train. Aboard this early 20th century antique train, you’ll be served gourmet meals in the Pullman cars. The superb local wines taste even better going 25 miles per hour through the wineries. Where to stay: To experience a luxurious resort without giving up on the convenience of a downtown location, book a room at the Westin Verasa. The hotel boasts stunning suites, an outdoor bocce court, a fantastic pool and is within walking distance from many of the best restaurants in the area. 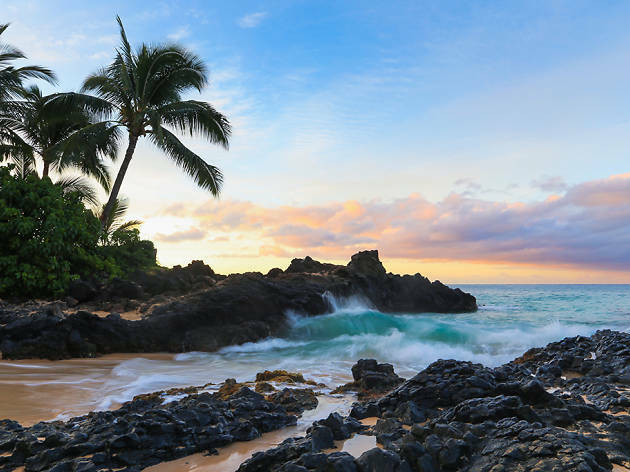 Of Hawaii’s islands, this one gets top billing for secluded beaches, scenic hikes and resorts that will make you and your partner forget the worries of the life you left on the mainland. 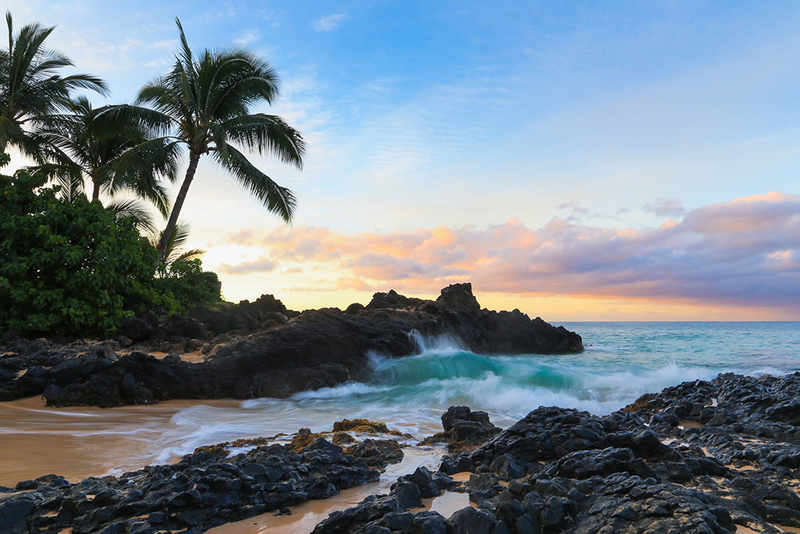 You’ll probably want to spend your entire Hawaii vacation here. Where to dine: Since 1974, the family-owned Mama’s Fish House has been serving patrons some of the freshest seafood around. On the menu, find the name of the fisherman that caught the fish you order within 24 hours of your visit. Where to stay: Keep away from the more densely touristy corners of the island and stay at Travaasa Hana. With boutique rooms and a dazzling view of the sunrise, this resort on the Eastern tip of Maui is like a little piece of paradise. 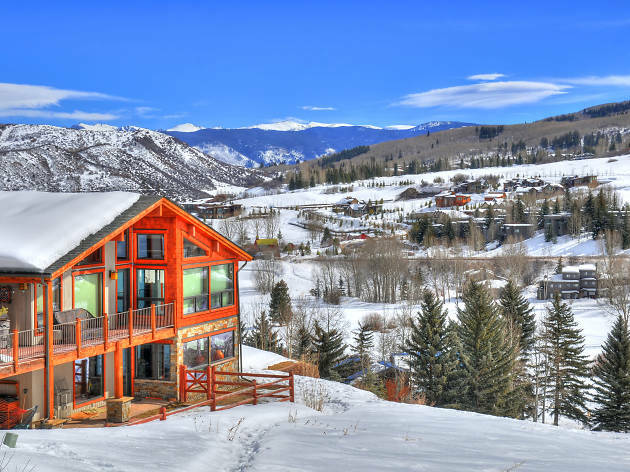 Snow bunnies who love hitting the slopes for fresh powder in the morning and cuddling up by a raging fire in the evening will find all their winter wonderland dreams come true in Aspen. Where to dine: Ski to the rustic Pine Creek Cookhouse, a charming restaurant at the base of Elk Mountain that serves exquisite Alpine gourmet food. Where to stay: Gant Aspen’s luxurious condominiums are a favorite among winter honeymooners and couples looking for some alone time. Each condo comes with a full kitchen for making romantic meals and a working fireplace for snuggling at night. 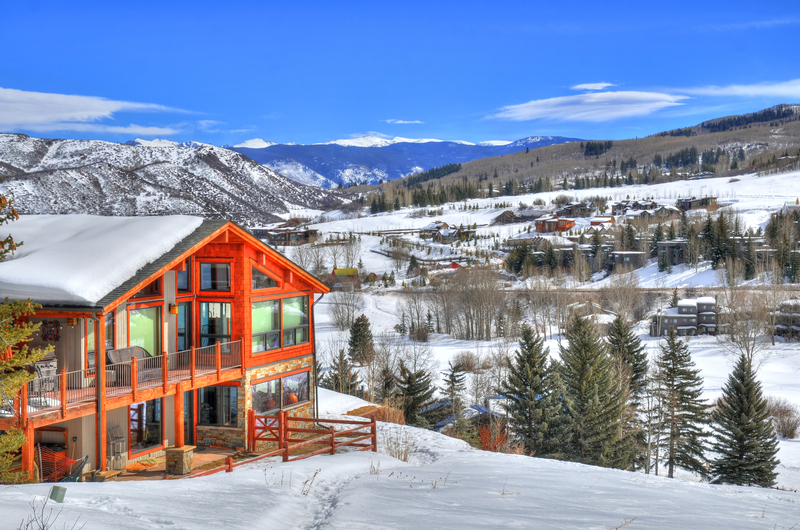 Located at the base of Aspen Mountain, daily skiing and leisure time in historic downtown Aspen are easily within grasp. Be sure to bring a swimsuit for a dip in the outdoor heated pools and jacuzzis. 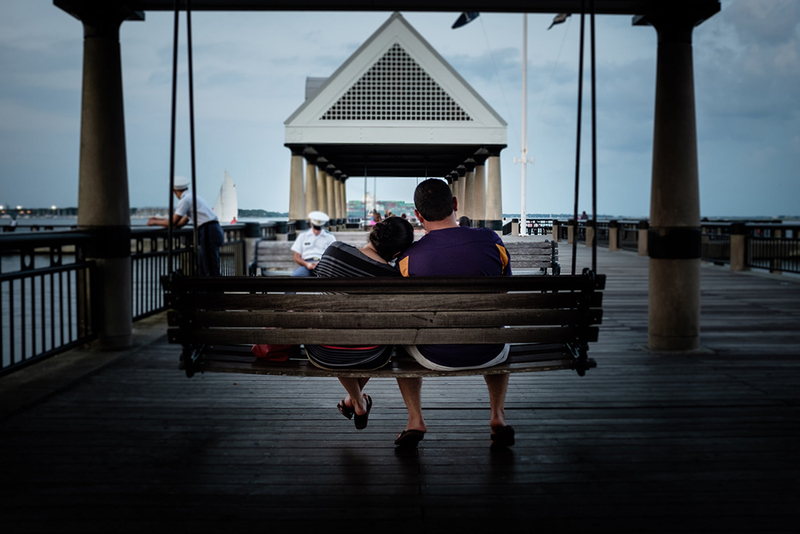 Horse-drawn carriages, Spanish moss, cobblestone streets and antebellum architecture make this coastal Georgia city one of the South’s most romantic destinations. Take a step back in time while exploring the picturesque and historic town. Where to dine: Head to the Mansion on Forsyth Park, a Victorian Romanesque mansion hotel, to dine at the award-winning 700 Drayton Inn. 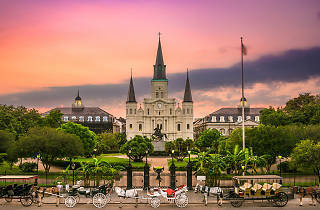 Here, among opulent antique decor and grand high-ceiling architecture, enjoy upscale Southern cuisine. Where to stay: Don’t just look at the phenomenal architecture—stay in it at Green Palm Inn. Housed in two 19th century seamen’s cottages, this four-bedroom bed and breakfast offers a more personalized experience than the larger mansion inns. Bonus: the innkeeper is quick to suggest the hidden gems and niches of Savannah. 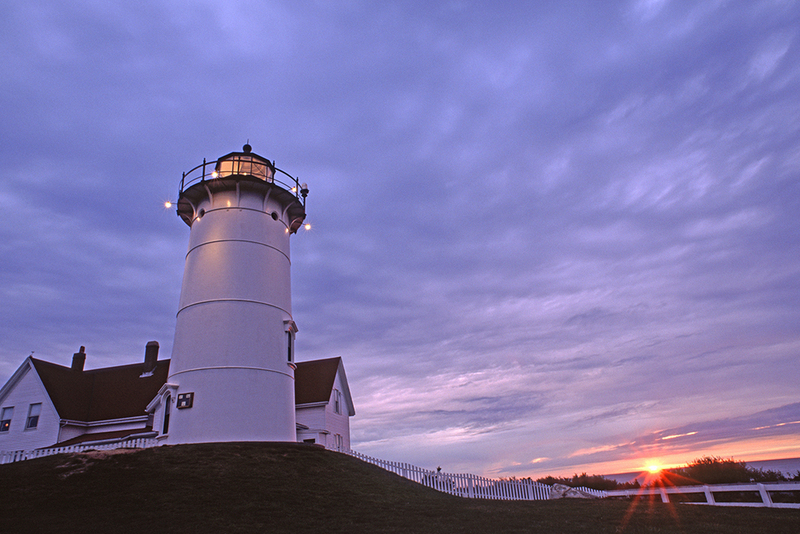 The eastern peninsula of Massachusetts is one of the East Coast’s finest summer destinations. 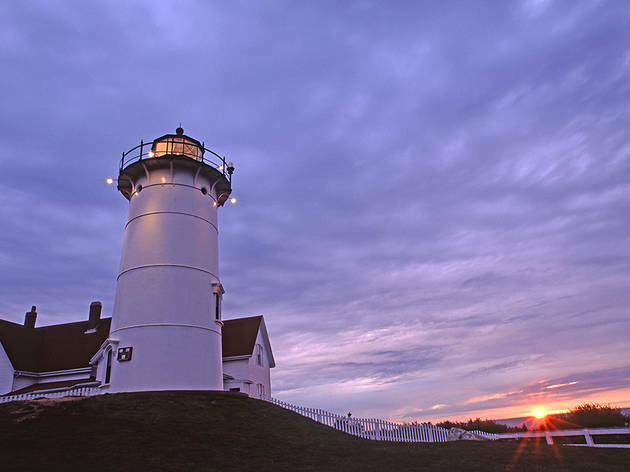 Harbors with darling lighthouses, chowder shacks, historic architecture, boats of all varieties, cranberry bogs, windswept beaches and small towns make for a relaxing trip enjoying each other’s company. Where to dine: While staying near Chatham, head into town for upscale seafood at Impudent Oyster. Expect generous portions and a starter course of oysters and mussels. Where to stay: A once hunting lodge, the Chatham Bars Inn Resort and Spa has 25 acres of ocean-front property and boasts beautiful, Cape Cod-style architecture. Amenities like a private beach, a heated oceanfront pool, an excellent spa and tennis courts make leaving the resort completely unnecessary. Opt for an adults-only suite and sauna for ultimate relaxation or, if you’re traveling with children in tow, let someone else entertain them when signing up for the kids program. 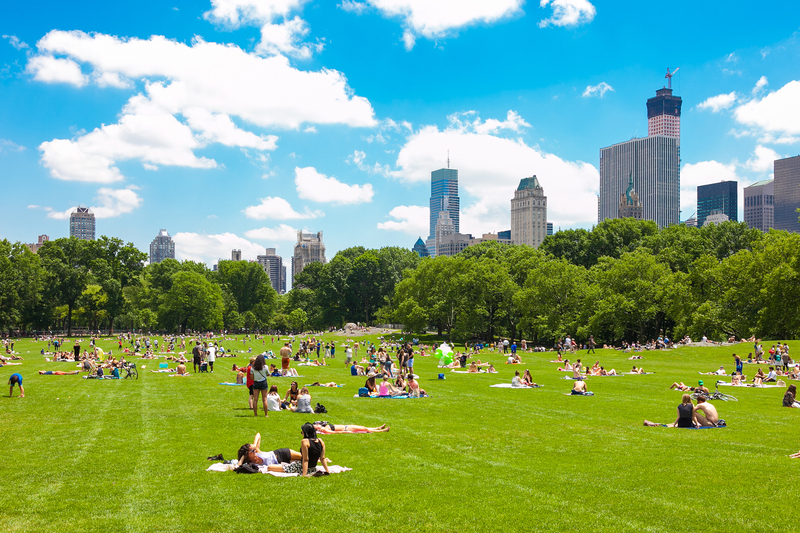 Whether you’re traveling with a Broadway aficionado, a culture hound, a sports fan or a foodie, the Big Apple is always the perfect destination. Go ahead and smooch on top of the Empire State Building, on a romantic row boat in Central Park or even in the middle of Times Square—we won’t judge. Where to dine: As you’ve probably heard by now, Brooklyn is all the rage. Head to the borough for a nice meal at The River Café. You’ll sweep your partner off their feet with the amazing views of Manhattan’s skyline and the East River bridges, while gorging on exquisite food. Where to stay: For an elegant experience that old Hollywood legends like Humphrey Bogart approved of, stay at Gramercy Park Hotel. This glamorous hotel is close to all of New York’s action while foregoing the noise and crowds found in midtown and SoHo. 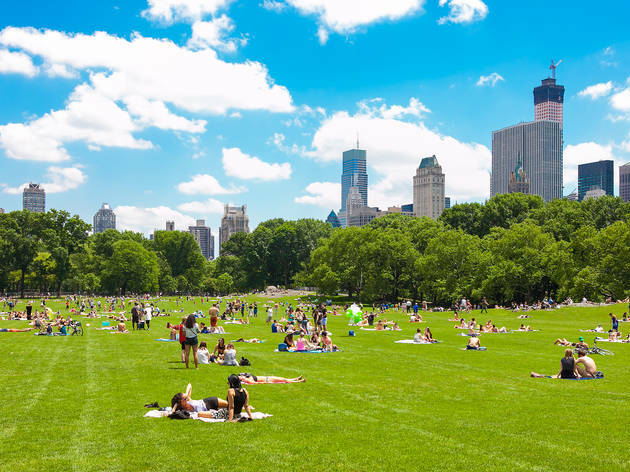 Make sure to take advantage of the access you will get to the city’s most exclusive and meticulously manicured green space: Gramercy Park. Founded in 1670 and playing a pivotal part in the Civil War, Charleston is as historic as it is gorgeous. 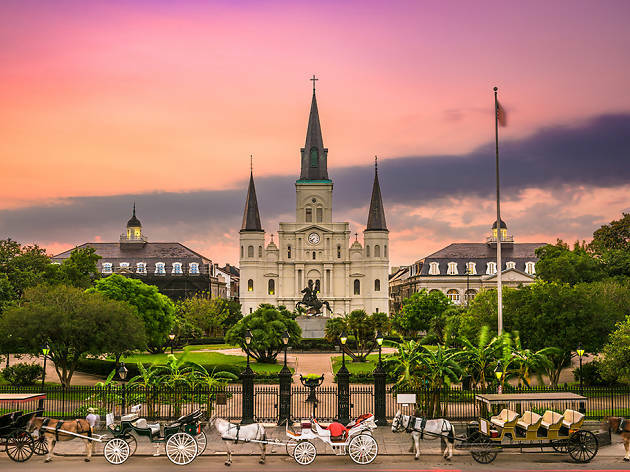 Visit the plantations that have maintained their 18th and 19th century grandeur, the streets lined with pastel antebellum architecture and the exquisite French quarter. 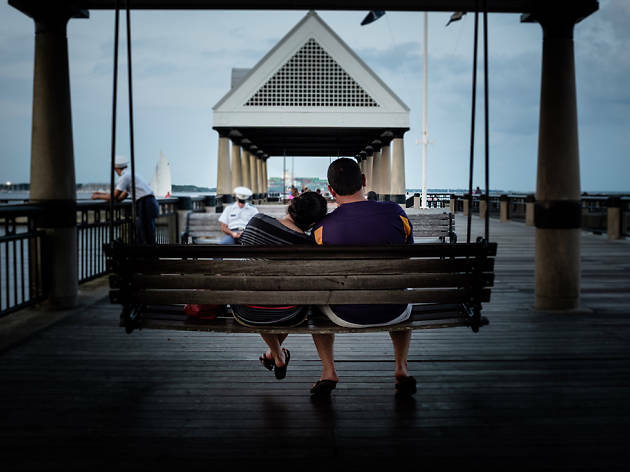 Make sure to stop by the Battery Promenade for views of the Charleston harbor. Where to dine: While appreciating the oozing-with-charm downtown Charleston, stop at the Peninsula Grill. Located off Marketplace, this renowned eatery serves some of the finest elevated Southern food in town. Where to dine: Dinner-and-a-movie is one of the most romantic dates in town at Foreign Cinema. At this swoon-worthy restaurant, doors open onto a courtyard where classic films are played outdoors under the stars. The elegant menu matches the ambiance. Where to stay: Decorated like a 1920s literary salon, the quirky Hotel Rex is a fantastic choice for couples. 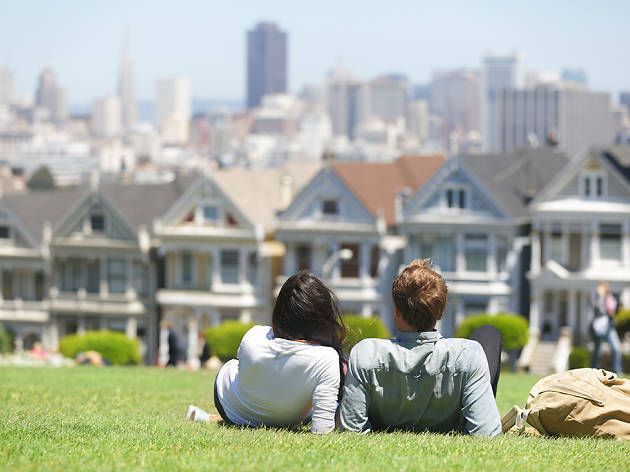 Its Union Square location is close to cable cars and just a hop-and-a-skip away from The Mission, Haight-Ashbury, The Castro and The Presidio. 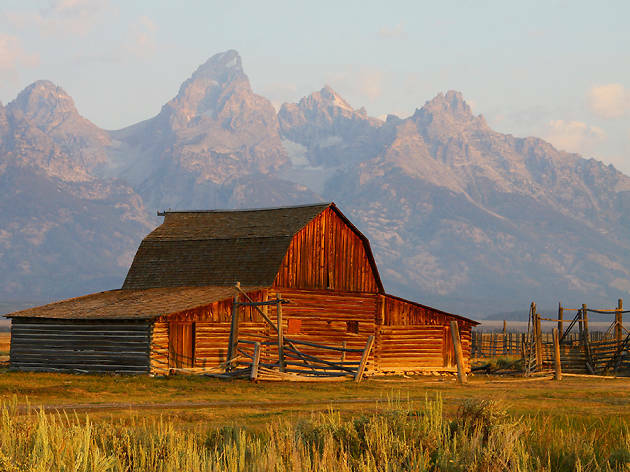 Whether you can’t get enough of skiing in the winter, want to hike across a beautiful Western landscape or are just looking for a nice place to stay and eat before you venture into Yellowstone National Park, Jackson Hole is for you. Where to dine: With an ultra-modern domed ceiling, romantic lighting, chic decor and a menu heavy on fresh fish, The Kitchen is a favorite date spot in Jackson. During the summer, grab a seat on the deck and enjoy the fresh breeze with a cocktail in hand. Where to stay: Seeking the rustic feel of a cabin but really need modern amenities and accommodations? Book a stay at Spring Creek Ranch, where you’ll enjoy unparalleled views of the mountains, inn rooms with wood-burning fireplaces and cable television. For a more homey experience, splurge on a townhome rental that comes with a kitchen and dining area or bring other couples along and book one of the fabulous mountain villas. There’s never a dull moment in La La Land. With world-famous museums, iconic Hollywood sets, cutting edge comedy, phenomenal hiking, amazing shopping and beaches to explore, couples will always be entertained. Add the perfect weather and you’ve got yourself an ideal destination. Where to dine: For truly romantic al fresco dining, grab a patio seat at Firefly. Here, candles light a secluded garden where gourmet dishes and dessert will astound you. After dinner, keep the night going indoors at the library-like bar. Where to stay: Indulge your dreams of living like a star at the Hotel Bel-Air. This recently remodeled 1922 Spanish mission-style luxury hotel has a spa, a beautiful pool, a Wolfgang Puck restaurant and sits on 12 acres of land manicured with lovely gardens and a lush landscape.